Not on a military installation. Travel South on the Richardson Highway (SR-4). 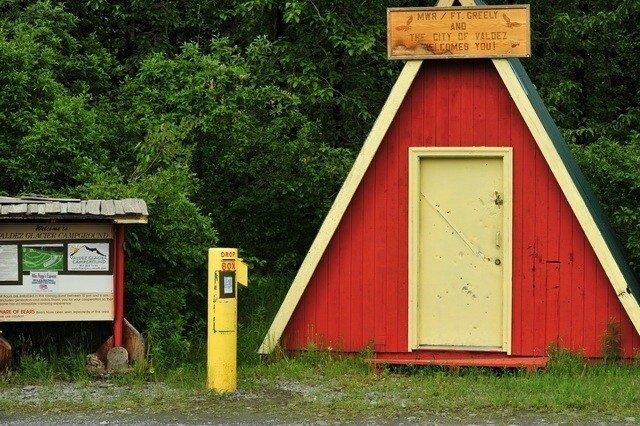 About 7 miles before you arrive in Valdez, you will see a major intersection with a flashing yellow light. Turn right onto Airport Road and travel 3 miles to the campground on the left. 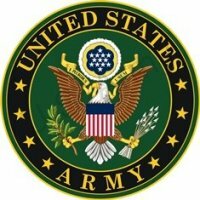 Active, National Guard, Reservists, Retired, 100% DAV, DoD, Fort Greely contractors. Open to the Public except for rentals. 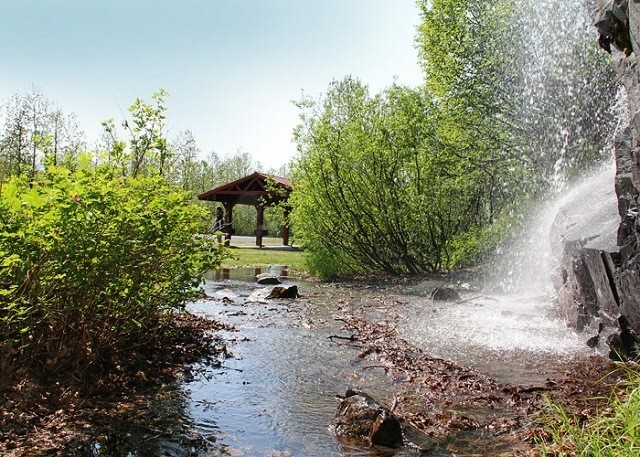 Reservations are required for the large group sites (Pavilion), campers and cabins. Tent and RV pads are first-come, first-serve. 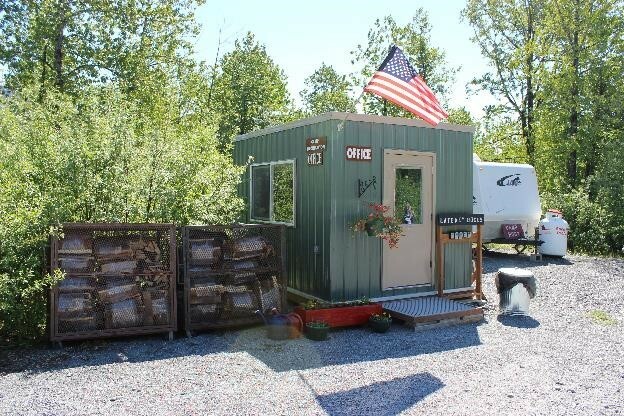 Camper and cabin rental is exclusive to Active Duty, Retirees, DoD ID Card holders and Fort Greely Contractors. None at the campground. Strong Verizon 4G. Allowed with usual leash and clean-up rules. 6' leash length limit. Keep in your vehicle at all times. 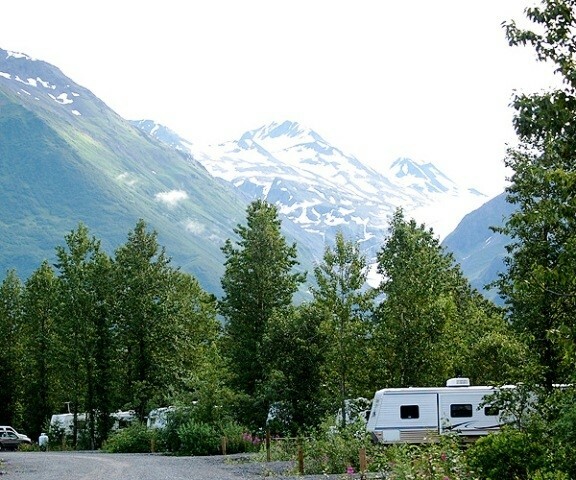 Valdez Glacier Campground is located at the base of the Chugach Mountains beneath the famous Valdez Glacier. 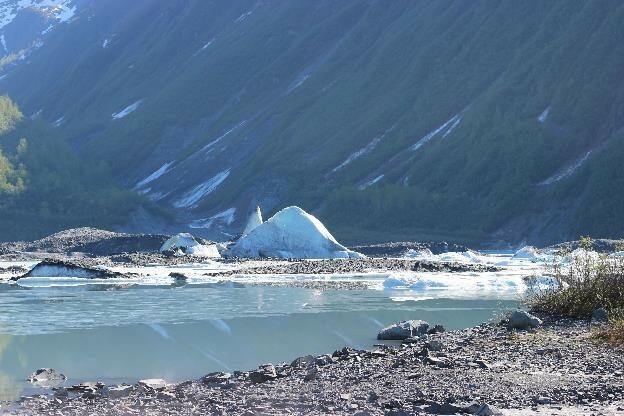 The Glacier run-off provides a beautiful waterfall that cascades into a crystal clear creek. 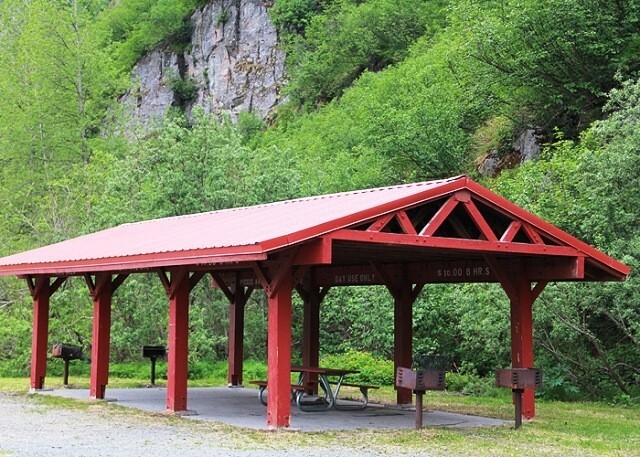 Visitors to the campground will be struck by its beauty and grandeur. Campers can watch mountain goats graze on the steep slopes overlooking the campground. 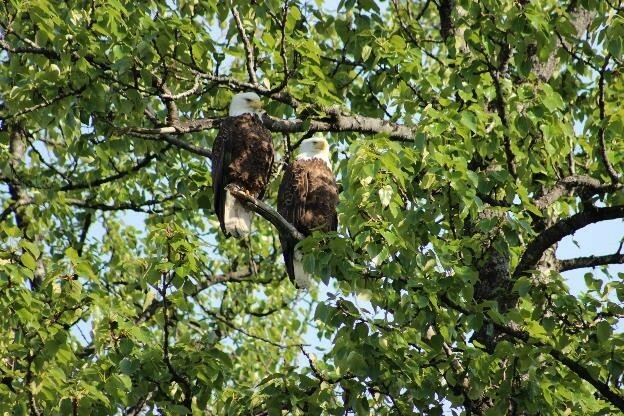 There is also a pair of nesting bald eagles on site! 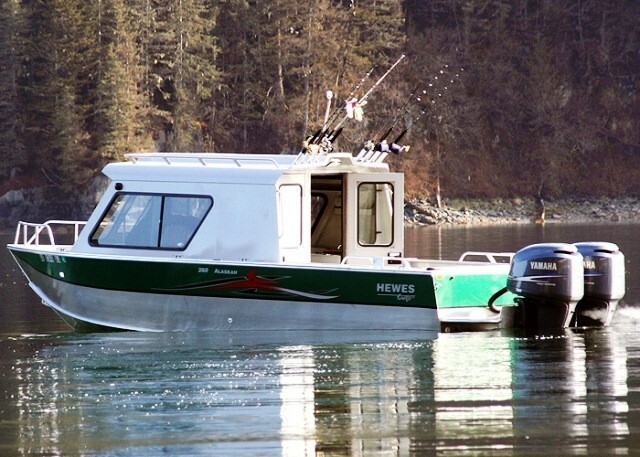 Fishing charters and site-seeing tours also available. My husband paid for two nights but left after one. Because he paid for two nights, sleeping in after 11 should be his own business, not the business of the camp host. If he was doing his job, he would have known that the spot was paid for in advance. Now we are out $20 (which I think is a rip off just because he did not have a tent) because of the poor customer service provided. I certainly wish that the former care takers were still there. You can be certain that we will never use your campground again. 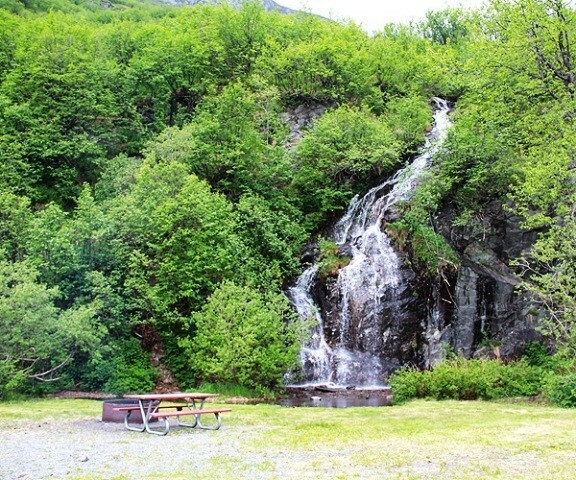 This campground is about 5 miles out of the city of Valdez and situated at the base of a cliff in the Chugach Mountains. It even has it's own waterfall. Price for military is $20 dry camp and $30 for hookups. Non military prices are $5 more. Got here at 3:30 PM yesterday. 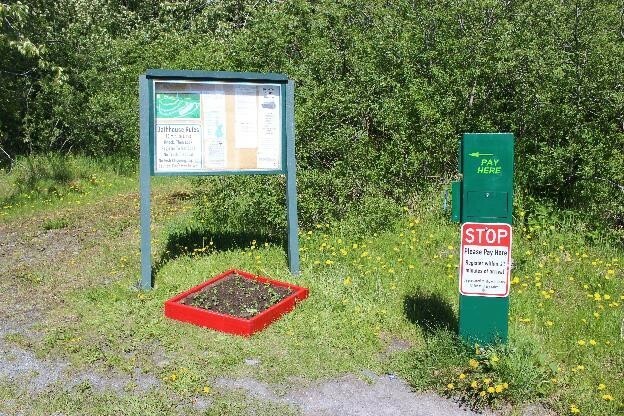 As this is a no reservation campground there is a pay station at the entrance. We've been to plenty of self pay campgrounds and most have instructions posted next to the pay station. This place doesn't and that may cause some confusion for those who are not used this type of fee collection. There were no envelopes in which to enclose the site fee. I tried to find the campground host but the campground host is only on duty from 0800 to 1200 then from 1600 to 2000 and is off on Monday and Tuesday. Most of the sites I saw were level enough but some would require quite a bit of leveling. Found a pretty nice level site and set up camp figuring that if somebody wanted to take my money they would tell me. Went back to the entrance and the "Iron Ranger" now had pay envelopes, I suppose because the host was back on duty. I looked at the showers, there are 4 unisex, and they looked to be quite run down and not very clean. 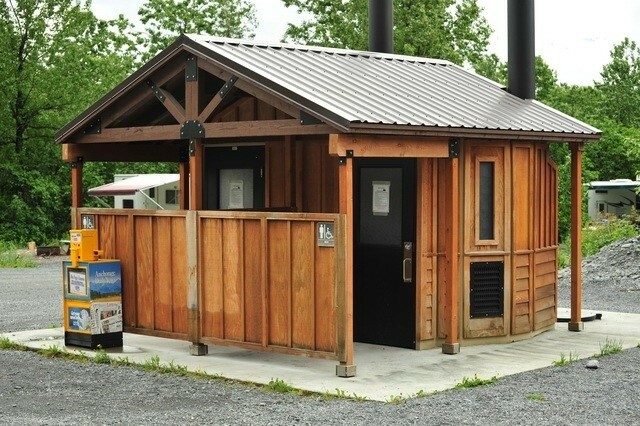 My big complaint is the pit toilet in the campground I used was filthy. The urinal looked as if it had never been cleaned. There was poop on the toilet seat. And there was no toilet paper. I fully understand that some campers are pigs at heart and will trash a place just for fun. 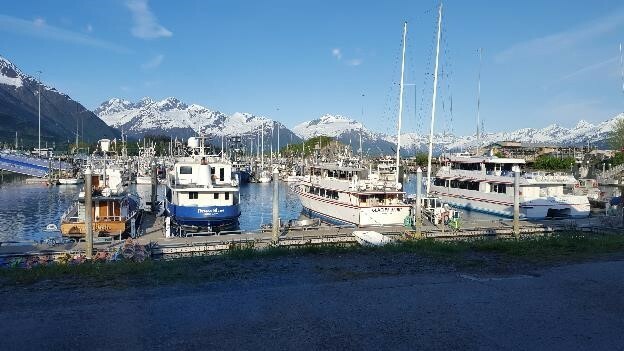 Having said that, whoever is responsible for the upkeep of this place, and I don't know if it's the army MWR or the city of Valdez or both, needs to take some interest in it. It wouldn't take a great deal to make this place a really nice place to stay. We stumbled upon this little campground by happenstance. It took a bit of maneuvering to get our 43' 5th wheel into the site. We moved the picnic table and got close to the fire pit but was able to get off the road and have to disconnect the truck. Lots of pot holes that need attention. The RV dump location has a bit to be desired as it is on the wrong side of the road as you exit. 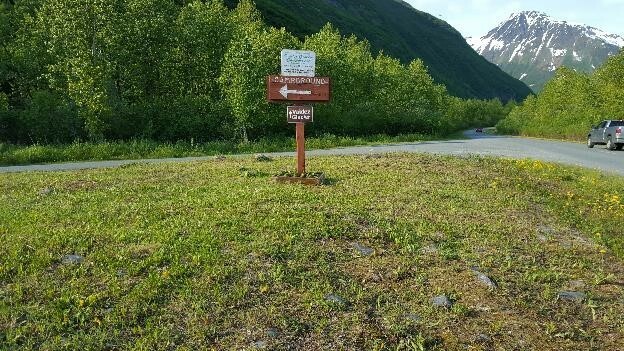 In order to use it properly you have to exit the campground, turn around and come back in. There is plenty of room to execute that maneuver however... We didn't see any wildlife in the campground but did see a couple of bears at he hatchery a few short miles away. We stayed about a week here while touring the area. 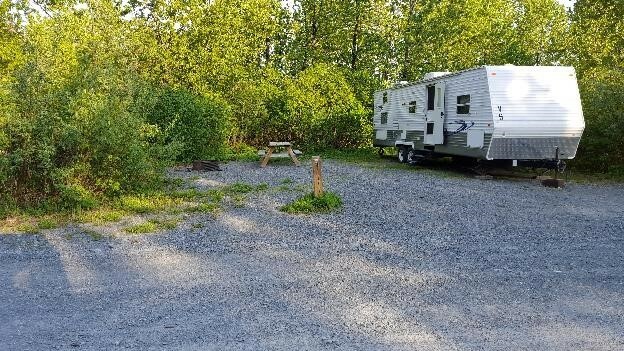 An older campground without much amenities, but a fair priced place to spend time in the area. The worst part are the roads in the campground! They are FULL of HUGE potholes. They need to bring in some dirt and fill these in. 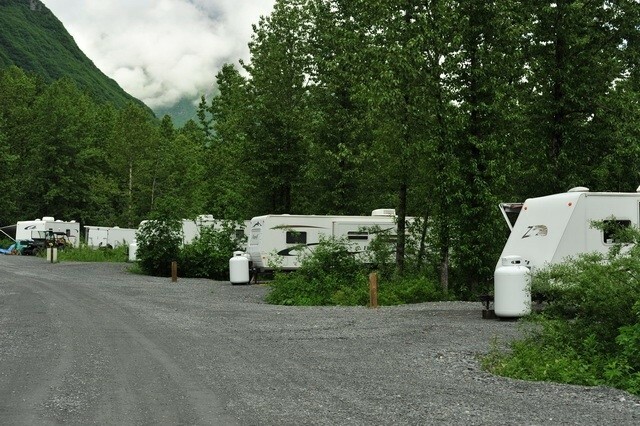 This campground is open to the public, as it's partly operated by the City of Valdez. Stayed here in early June 2014. Nice facility about 3 miles out of town near airport, but VERY NEAR the Valdez Glacier. Beautiful setting, clean facilities, and friendly staff. I planned my family vacation to Valdez and ended up choosing this camp site versus the others which were inside of town. Glad I choose this one since most of the camps in town were nothing more than large gravel parking lots. 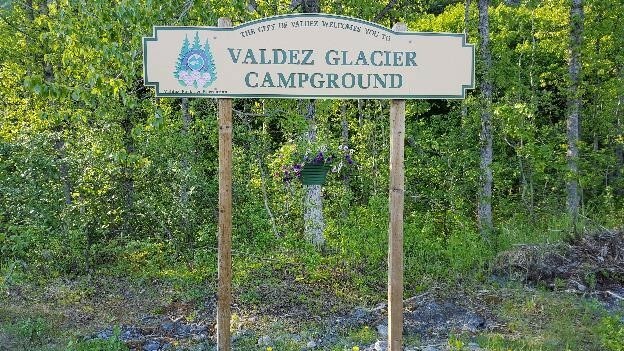 Glacier Campground offered so much more than the others unless your number one concern was being within walking distance to town. We were able to have a camp fire, watch a couple of bald eagles, and see a black bear all from the comfort of our camp in the outdoors next to the trees and mountains. Drive to downtown Valdez was just a 5 min drive from camp and Alison Point (fishing spot) was 10 min drive in the opposite direction. The facilities were very clean; staff was also very friendly and helpful. I would definitely recommend this campsite to friends and family. I am a E5 in the Army and decided to have my family reunion at the campground. We convoyed to the Valdez from Ft. Wainwright a 7 hour drive. We were very pleased to have the large group area with pavilion to support our family of 50 people. It was very nice stay by the waterfall. The staff was very supportive and knowledgeable. They went out of there way to ensure we had a pleasant stay. Towards the end of the week the weather turned bad and they were able to put my grandmother and nieces in two rental trailers. 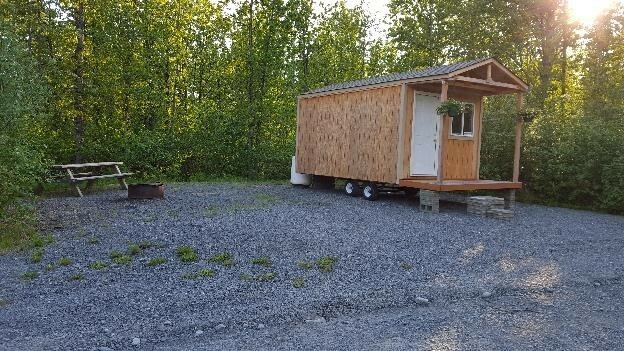 They are were clean and large to fit many family members inside. 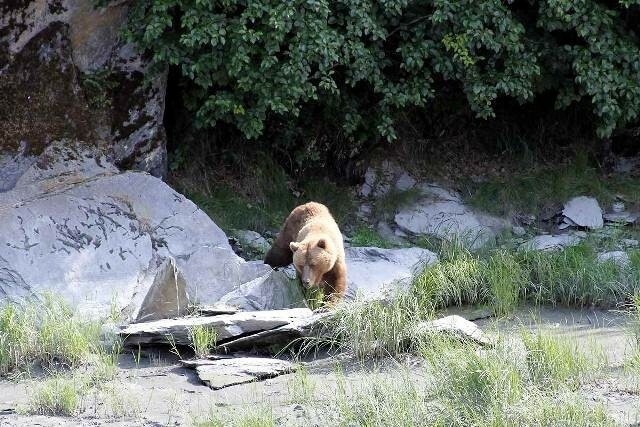 We also visited allsion point nearby to go fishing for salmon and saw a grizzly with four cubs. Bottom line this is an excellent campground and beautiful. I recommend it to all my soldiers to get down there at least once this summer. Stayed in rental trailer # 4. Had to brace up broken awning with branch to get inside. Paper towels stuffed in screen where large holes were. Holes in floor where table should be. No help or offer of other site from staff. Pretty darn rough stay. R'L' left this review using the Directory software: I stayed at Valdez Glacier Campground 28-30 July 2010. It's not hard to find with the directions supplied. Not exactly a scenic drive, the area is pretty industrial. I guess it gets its name by being on the road that ends at the glacier. One can get a glimpse of the glacier from the middle of the road on a clear day but don't expect glacier view sites. 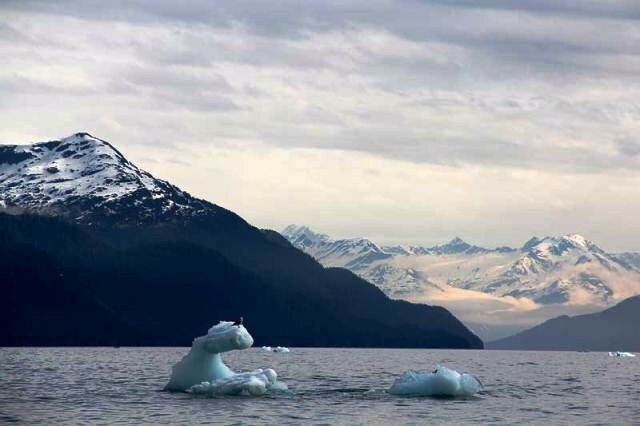 It's quiet and an easy drive into Valdez to see the sights. 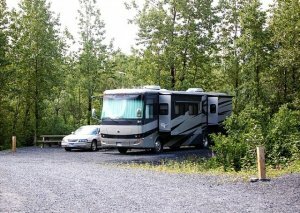 Much preferred to the campgrounds offered in town itself. Apparently there's some sort of partnership with the town as it's open to anyone but the military gets special rates. There were some pretty scruffy looking sites along the loop through the wooded area including one that had their living room furniture outside under a tarp. There have been recent improvements in the more open area with the electric sites. The gravel road is wide and for the most part in good shape. The sites are large and well spaced. The host seems to be doing a good job keeping the place clean. You can tell the rental units by the large propane tanks and extended awnings. For one who doesn't like the constant activity in town it's a nice quiet place and a good value. We spent a week at the campground in the dry camping area. Dry camping is $10 a night and electric hookup (no water/sewer) is $20 a night. The electric sites are well maintained and located next to the new showers. 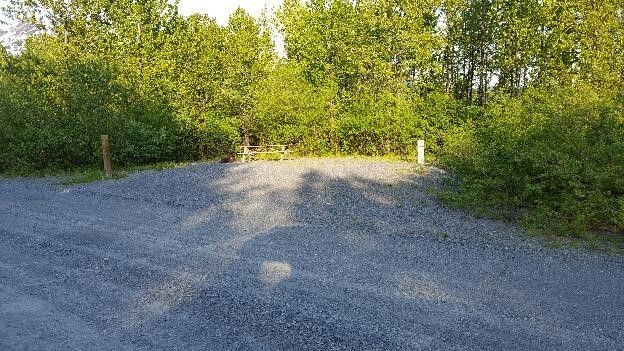 The dry camping spots could use a little work as some of the picnic tables are in pretty bad shape and there are numerous pot holes as you drive through the campground. Verizon cell phone works fair but the Verizon aircard is excellent with fast speeds. 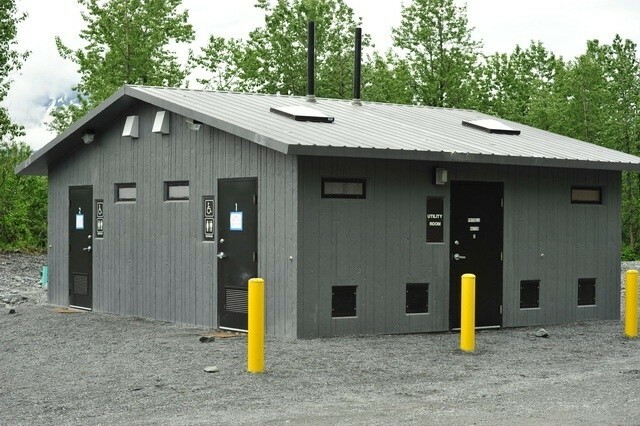 They do have a brand new dump station and fresh water is available at the showers. 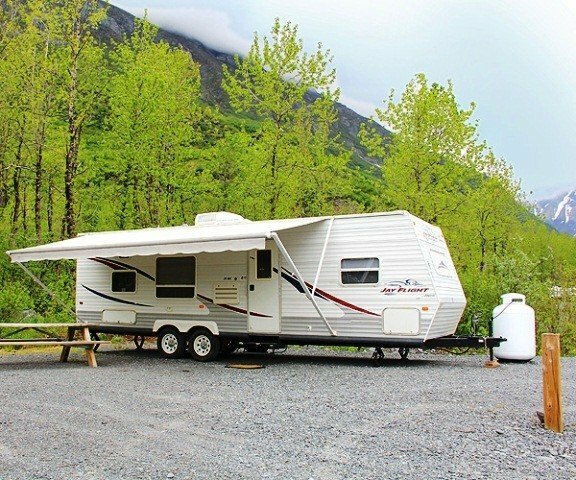 Overall a pretty decent alternative to the $30-40 campgrounds in Valdez although for that you get elec/sewer/cable.